Realm Royale offers unique, class-based gameplay and features an elimination and win-based player ranking system. The game is currently in early access, so it’s ranking system is subject to change at any time. We’ll be keeping this guide updated with full details of the latest ranking system. Here’s everything you need to know about improving your rank in Realm Royale! 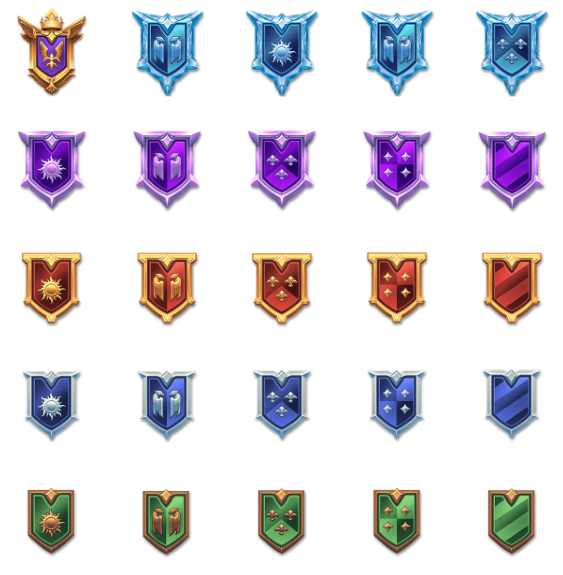 Realm Royale currently features six different ranking tiers: Bronze, Silver, Gold, Platinum, Diamond, and Master. Each tier has multiple ranks, where V (5) is the lowest in a tier and I (1) is the highest. Therefore, similar to ranking systems in most games, a Gold V player will be ranked lower than a Gold II player, and so on. Each rank features its own exclusive badge that is displayed on the game’s main menu screen along with your current rank, but it’s worth noting that your rank is not visible during a match. You will keep your rank tier for an entire season, currently planned to last two months, but Hi-Rez has not yet shared any details additional details on how seasons will work (ex. if there will be a complete reset of rank, if you will automatically lose a few ranks, etc.). Your rank is determined by your top 50 games of the season, based on your placement in each match. Once all 50 of your games are wins, you will reach the Master rank. It is not possible to go down in ranking from Bronze to Master tiers, as your placement is always determined on your best 50 games. Essentially, this means that every player is capable of reaching Master tier the more they play, as long as they are able to eventually secure 50 wins. Realm Royale awards separate rankings for Solo, Duo and Squad play, through progression in each mode works the same. After you have reached Master tier, your individual ranking in Master is determined by how many total eliminations you have accumulated in your top 50 games. In order for an elimination to be considered, you have to kill the player and their chicken. It's worth noting that if you are playing in Duo or Squad queue, all players on your team who have participated in a kill will receive kill credit, not just the player who landed the final blow. The higher your number of total kills across your 50 best games, the higher you’ll rank in Master, which assigns a numerical value equal to your number of kills earned. Grandmaster rank, not currently available, will likely contain the the top 50 players with the most kills at Master rank. The more total kills you earn in your 50 best, winning games, the higher you’ll rank. Simple enough!